This year’s festival includes an all-female concert exploring the music of composer and suffragette Dame Ethel Smyth; the premiere performances of Christopher Wright’s Symphony and Richard Blackford’s Violin Concerto; and works by wartime composers and poets to mark the centenary of the end of WWI. Read our full preview. 25 – 28 May 2018, Dorchester-on-Thames, Oxfordshire. Gloucester Choral Society pay tribute to Sir Hubert Parry and his contribution to the country’s musical life with a weekend dedicated to his greatest works, alongside music by his pupils. In a gala concert at Gloucester Cathedral, they will perform Jerusalem, I Was Glad and Ode on the Nativity with the Philharmonia Orchestra and Oxford Bach Choir. The festival also includes a performance of Songs of Farewell, a screening of Prince Charles’ documentary on the composer, and a day at Highnam Court – Parry’s childhood home – with chamber music from RCM students and an illustrated talk from the composer’s biographer Professor Jeremy Dibble. 4 – 7 May 2018, Gloucester. In a concert to mark the anniversary of the end of the first world war, superstar violinist Tasmin Little performs Vaughan Williams’ The Lark Ascending with the English Festival Orchestra, alongside the composer’s English Folk Song Suite in the orchestral arrangement by Gordon Jacob. In the second half the Really Big Chorus will perform Sir Karl Jenkins’ The Armed Man: a Mass for Peace with soloists Emily Gray and Manvinder Rattan. 20 May 2018, Royal Albert Hall, London. Professor of Violin Madeleine Mitchell and musicians from the Royal College of Music perform a free recital devoted to chamber works by Welsh composer Grace Williams, including her Suite for strings, piano, flute, clarinet and trumpet. 9 May 2018, Royal College of Music, London. 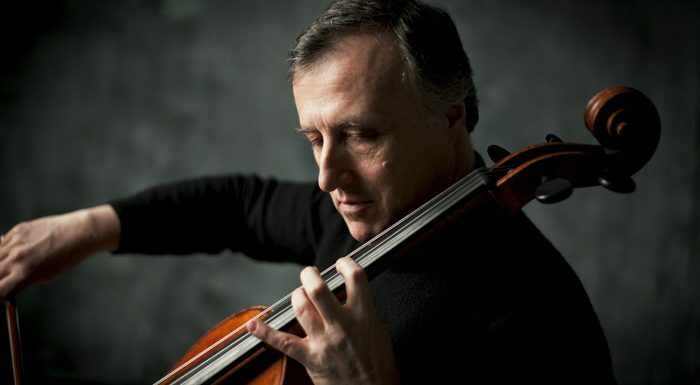 Raphael Wallfisch performs Elgar’s Cello Concerto in the spectacular finale of the Northern Chamber Orchestra’s 50th anniversary season. Performances will be given in both Manchester’s Stoller Hall, where the orchestra has recently been appointed Orchestra in Association, and in Macclesfield’s Heritage Centre. 12 May 2018, The Heritage Centre, Macclesfield. 13 May 2018, The Stoller Hall, Manchester.